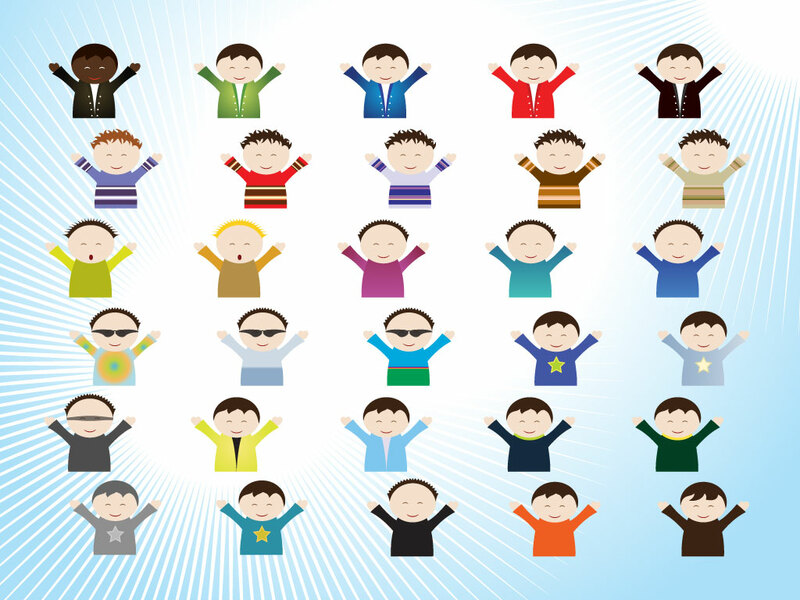 This cartoon pack has 30 different boys in a wide a variety of outfits. South Park influenced characters for your cartoons, illustrations and kid friendly designs. Download as AI and PDF for your personal projects. Tags: Boys, Cartoon, Characters, Clothes, Kids, South Park.